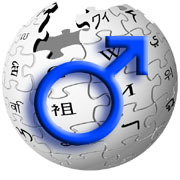 A study conducted by the Wikipedia Foundation and previewed in a Wall Street Journal blog shows that an overwhelming 87 percent of Wikipedia contributors are men. And not only that, 69 percent of readers are shown to be male. Well, it's not really surprising that men are the biggest Wikipedia nerds but it does make you wonder, where do women get their information then?